Today we’re going to make a low carb version of the Italian classic, Chicken Parmigiana. Or as Tom Haverford on Parks and Recreation would call it, “Chickey Chickey Parm Parm”. In the video clip below he goes through his lexicon of nicknames for things. “I call eggs ‘pre-birds’ or ‘future birds’. Root beer is ‘super water’. Tortillas are ‘bean blankies’ and I call forks ‘food rakes’.” Tom Haverford is a delight. He truly tickles my fancy. But let’s talk chickey chickey parm parm. To make low carb chicken parmigiana, you start by pounding boneless chicken breasts into a uniform 1/2 inch thickness. Then you dredge the chicken breasts in oat fiber, dip them in an egg wash and then coat them with a breading of pork rinds, oat fiber and parmesan cheese. You fry them in oil, top them with marinara sauce and mozzarella cheese and then bake them until the cheese is nice and melty. In less than 30 minutes, you’ll have a low carb chicken parm with only 3g net carbs. Sweet! Ok, now it’s time for me to eat some chickey chickey parm parm. Where’s my food rake at? This low carb keto Chicken Parmigiana is a one pan wonder. 1. Preheat oven to 400 degrees and get out a large oven proof skillet. 2. Take a meat mallet and pound the chicken breasts until they are all a uniform 1/2 inch thick. 4. 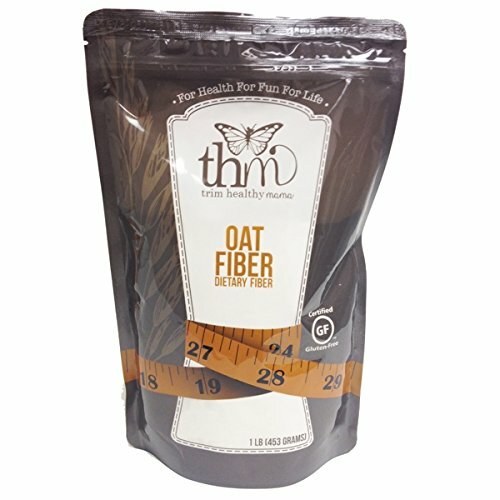 Add 1/4 cup oat fiber to another medium sized bowl. Add beaten eggs to a third medium sized bowl. 5. Set up an assembly line where you dredge the chicken breasts in oat fiber, dip them into the beaten eggs and coat them with the pork rind mixture. 6. Add light oil to the skillet and heat over medium high heat until shimmering. Add chicken breasts and cook for 2 minutes until browned on the bottom. Carefully turn and cook for another two minutes on the other side. 7. Remove the pan from heat and spoon marinara sauce on top of the chicken breasts. Top with shredded mozzarella cheese. 8. Put the pan in the oven and bake for 10 minutes until the cheese is melted and slightly browned and chicken is cooked through. 9. Place the chicken breasts on paper towels to drain the oil. Serve immediately. You’ll have breading and oil left over when you are done, so I’ve calculated the nutritional info based on what actually ends up in the dish, rather than the full ingredients. If you liked this chicken recipe, then you might like these recipes for Chicken Fingers and Chicken Satay Skewers. I made this for dinner last night and everybody loved it. It’s the best low carb breading that I’ve tasted so far. Yes, I like this breading the best too. Glad everybody liked it.